If you are looking for the classiest, cleanest, and most stunning vintage Benz, look no further. 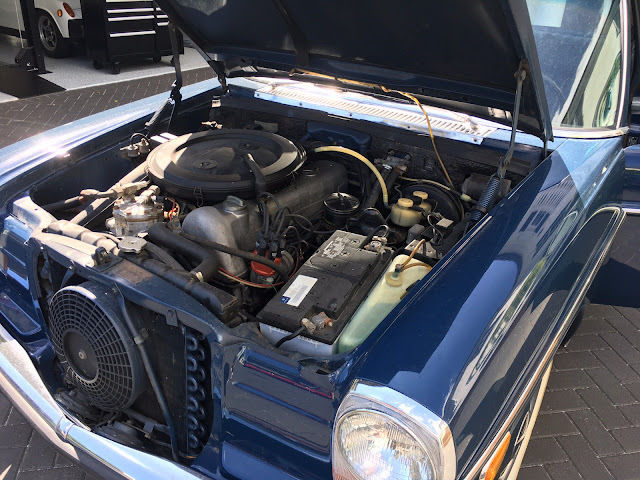 I am selling my prized 1971 W114 Mercedes-Benz sedan to make room for a new toy, and for that reason only. Do not send me low ball offers, or waste my time with silly requests. That said, I am a reputable seller and most importantly, a car lover who takes care of my collection. This is a 2.8L straight 6 and it pulls hard and clean and burns no oil. The compression is great and has ALL new fluids, all maintenance items have been cared for professionally, and expeditiously. The tires are Coker Classics, with elegant white walls. They're brand new. Something broke on the odometer and it goes up slowly now. It reads around 37K, but I have maybe but 1000 miles on it since I have owned it. I purchased from a local collector, and Merc expert in 08-2013. This car has ALWAYS been garage kept. This car exudes class and elegance. 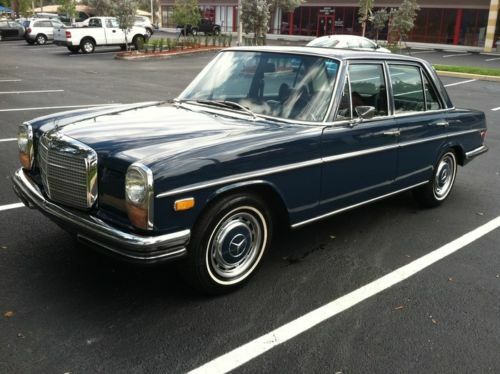 In my opinion, there's not one other car on earth that has as much bang for the buck then this '71 Benz. Interior is 95% condition, headliner is new. I have original mats, as well as the cocomats that are pictured herein. The exterior is 92% any full-scope detail and paint correction can bring this to a 99%. I keep under a cover, in my warehouse. There is a tiny chip in the windshield that has been drilled so that it will not crack. The chip is in the bottom left side of windshield. Happy Bidding and Happy Motoring. A Hagerty collector car valuation report available upon request. Reserve price is set at a price to sell. Good luck.